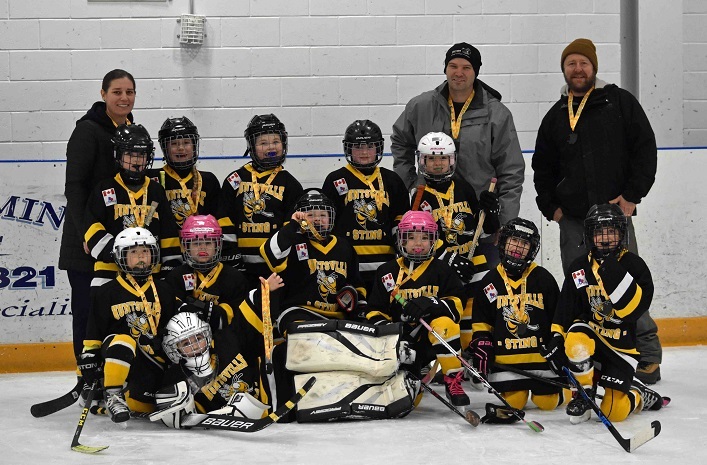 Main photo: The Peewee Armstrong Sting took gold in their home tournament (back from left) Kirrah Corbett, Izzy Simonovich, Dave McNalley (Asst Coach), Megan McGrath, Ashley Chaffey, Kaed Hornick-Martin, Rick Armstrong (Coach), Meaghan McNalley, Kaelyn Armstrong, Christine McNalley (Trainer), Lena Morrice; (front from left) Summer Martinson, Paige Schurer, Keleigh Higgs, Parker Bullen, Abby Coles, and Jayde Woods. 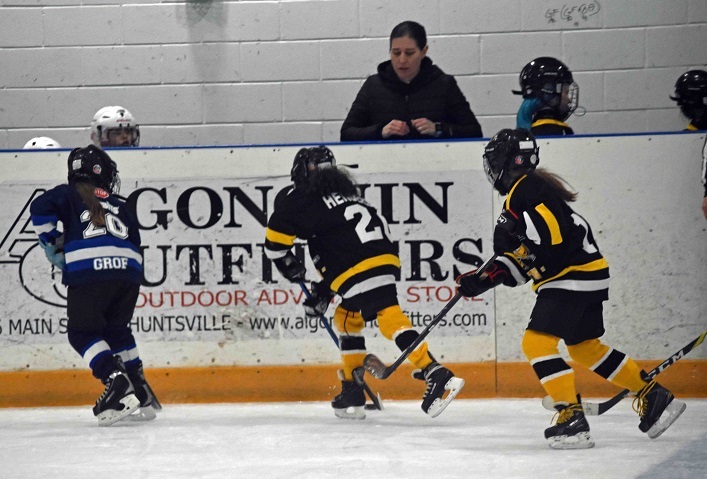 The Huntsville Girls Hockey Association hosted 64 teams from across Ontario for their 42nd annual home tournament last weekend. 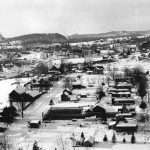 Games were played at arenas in Huntsville, Baysville, and Burk’s Falls. 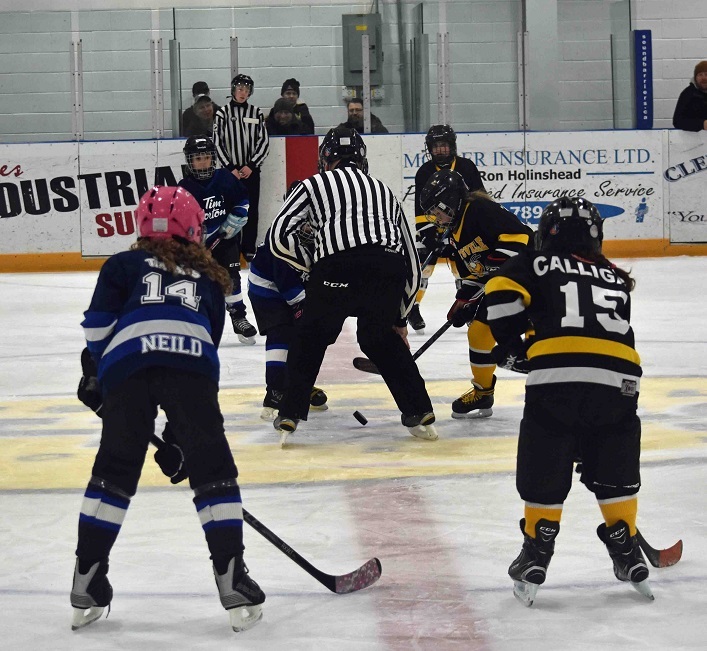 Eight Huntsville teams competed—Novice, Atom, Peewee (Seely, Armstrong and Hayes), Bantam, Midget and Senior C— and all played with heart and grit in front of their cheering families and supporters. 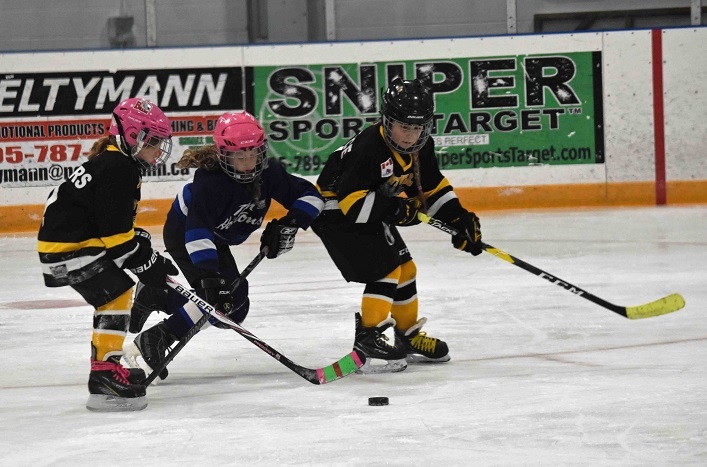 The Novice Sting won both of their games which earned them a ticket straight to the championship game on Sunday. 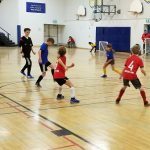 The Atom Sting won two of their games and tied their third for a berth in the semi-finals on Sunday morning. 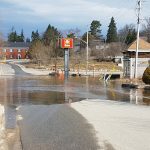 Of the Peewee teams, Seely won all three of their round-robin games, Armstrong had two wins and one tie, and Hayes won two out of their three games. 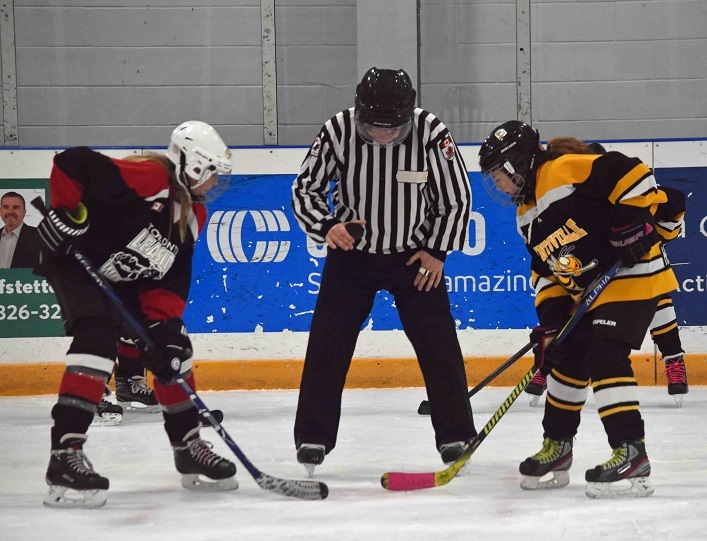 With all three earning spots in the semi-finals, two—Seely and Armstrong—had to face off against each other in one semi-final game while Peewee Hayes met Leaside Black in the other semi-final game. 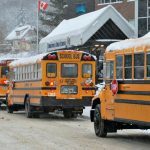 The Bantam and Midget teams played hard but weren’t able to secure spots in the final rounds. 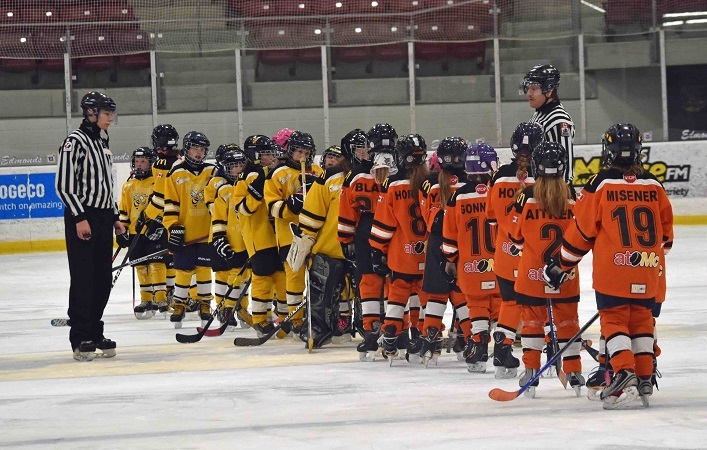 And with most of the Senior B/C teams heading home on Saturday, the Sting met Woodstock for an exhibition game on Sunday. Early Sunday morning, the Huntsville teams rolled into their dressing rooms, geared up and got their game faces on ready to ‘sting’ their competition. 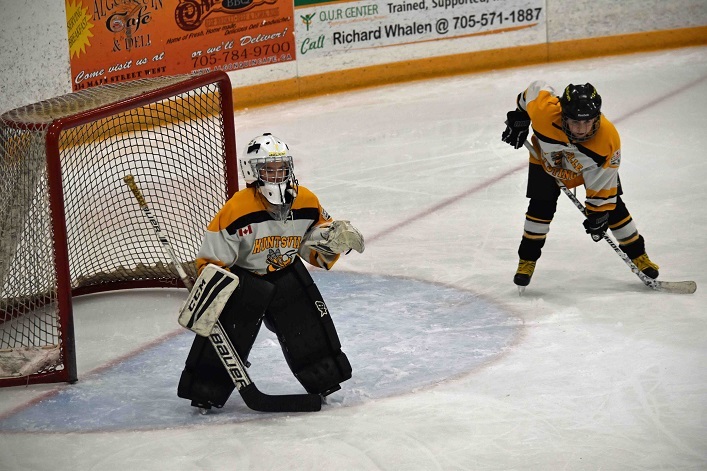 The Atom Sting played Barrie Orange in the Don Lough Arena and came out strong with their forwards skating hard but Barrie’s defense wouldn’t let Huntsville by to put the puck in their net. 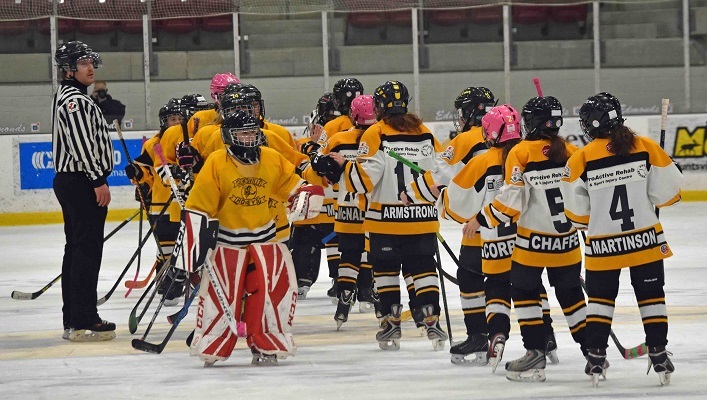 The Sting lost 1-3 but left the ice knowing they played their best over the entire weekend. 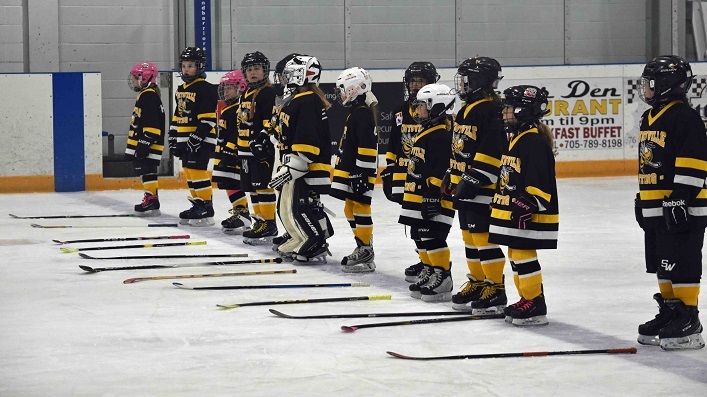 The Peewee Seely (in yellow jerseys) and Peewee Armstrong (in white jerseys) teams cheered on the younger Sting players while waiting for their semi-final game against each other to begin. Once it was their time to play, the game stayed tight with Armstrong leading 1-0 and Seely fighting hard to control the puck. The Armstrong defense was on their game and denied Seely’s attempts. The cheers and chants from the stands echoed the on-ice intensity of both teams. At the end of the third period, Peewee Armstrong put another puck in the net to seal the win 2-0 and move on to the final championship game. 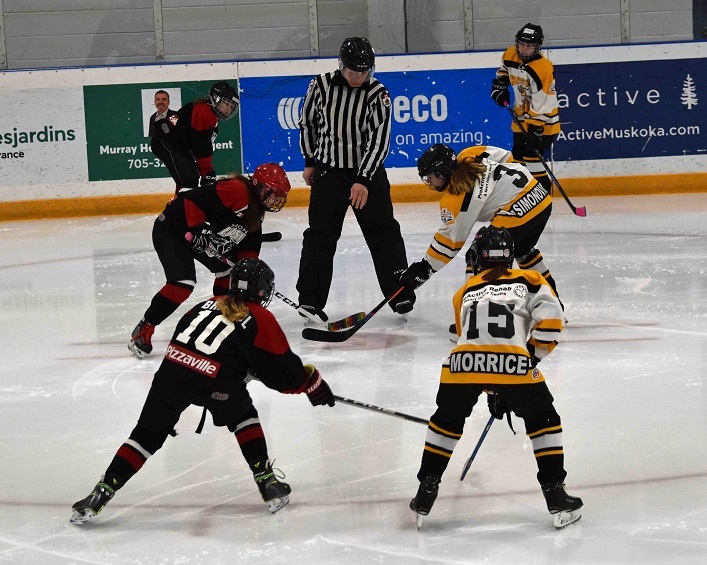 At the same time, Peewee Hayes was fighting for the win in the Jack Bionda Arena against the Leaside Black. It was another nail biter that remained 0-0 at the end of the third. With no goals scored, the game moved into a five-minute, four-on-four overtime period. Both teams held off the others’ attempts to score, resulting in a shoot-out to decide the winner. 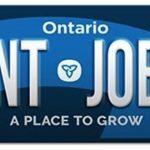 Neither team was successful on their first two shots, but on their third attempts it was the Leaside shot that got past the pads of the Sting goalie for the win. 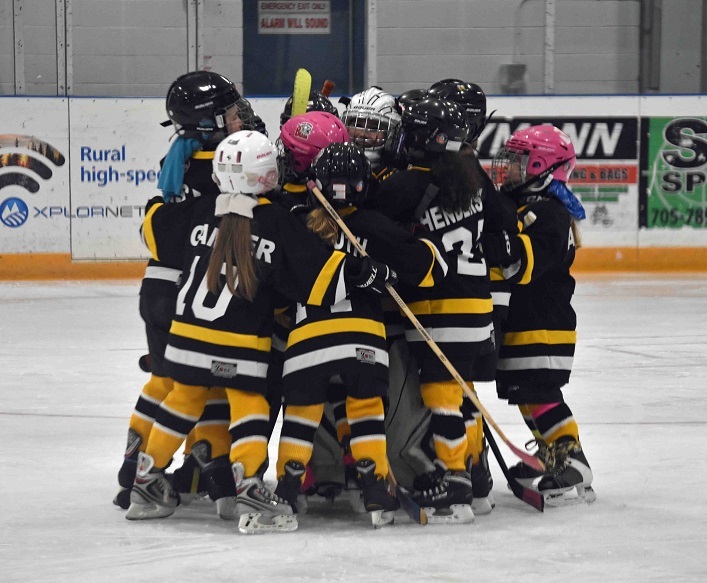 The Sting goalie lowered her head in defeat but in an incredible show of camaraderie and sportsmanship, her teammates rushed to the net to pick her up and cheer her back to her feet. 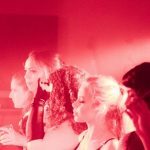 Be proud of your effort, girls. 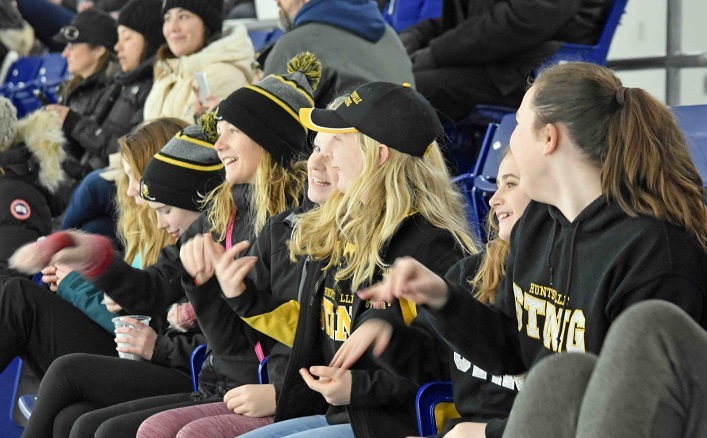 Later that afternoon, the families, fans and Sting players took to the stands to cheer on the Novice and Peewee Armstrong Sting in their championship games. 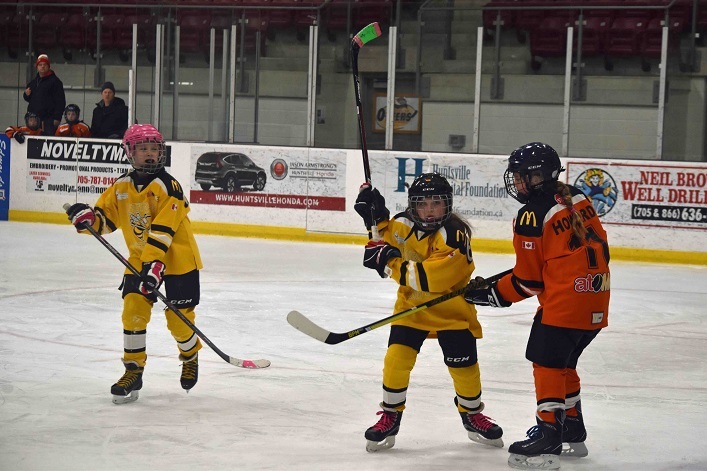 First, the Novice Sting met Lindsay, a team they had already beat in the round-robin games. The game was close but Huntsville was once again victorious with a final score of 2-0, earning them the gold medal. 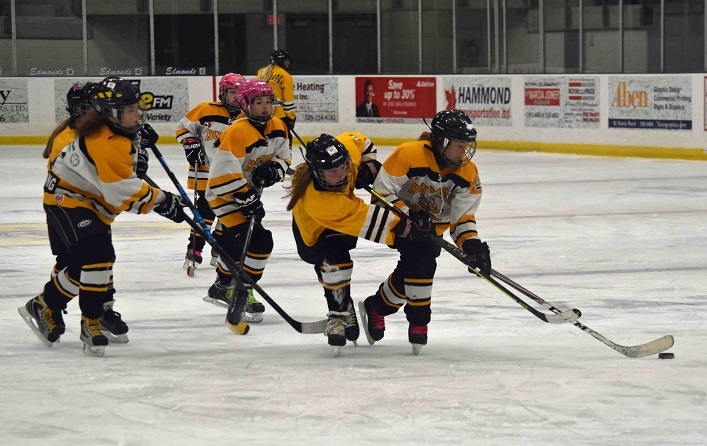 Next, the Peewee Sting Armstrong were pumped up for their game with dance moves both on and off the ice. 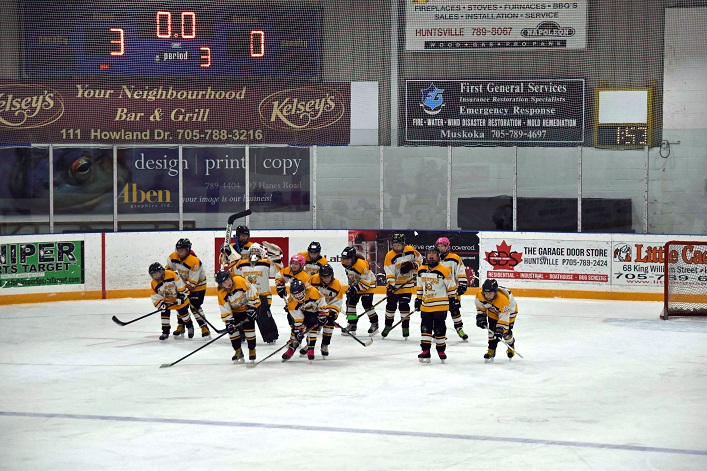 They played with more grit than ever and sent three shots past the Leaside Black defense and goalie. 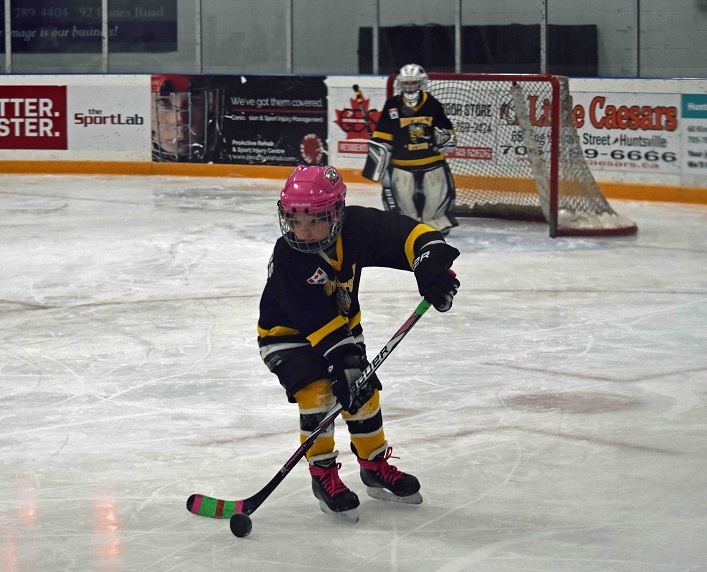 Leaside Black played strong and attempted some breakaways but they could not get the puck past the Sting goalie. With their hard work and determination, they came away with a 3-0 shut out and a gold medal. Overall, the weekend was filled with amazing sportsmanship, heart, great organization, and tons of fun for all of the people involved. 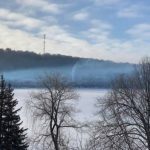 See full tournament results at huntsvillegha.ca. Congratulations to the amazing organizer, Kerri Vallentin, who is SUCH an avid supporter of girls’ hockey. I can hear Winston cheering you on, Kerri!